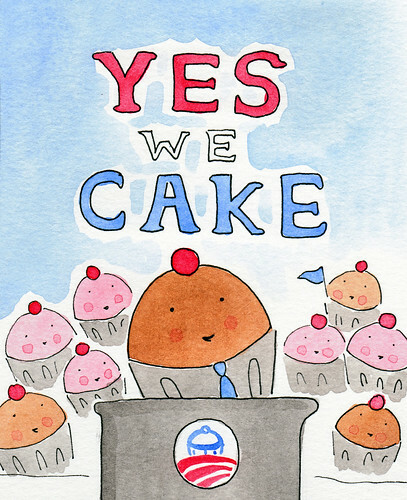 Order Now: Yes We Cake Postcards! They're baaaaack for 2012! The triumphant return of my popular Presidential pastry postcard: Yes We Cake! Declare your intentions, sweetly, with this delightful and delicious set of 4x6 postcards. Printed on fine quality stock, they're a fantastic keepsake or item to share with friends! A set of 10 postcards is $10!